As you can see, the texture size is 272 bytes, but the inspector's preview tells me that it will be dx1 and 184 byte, question is, when that compression happens? when I build the project to a playable game or any other time? 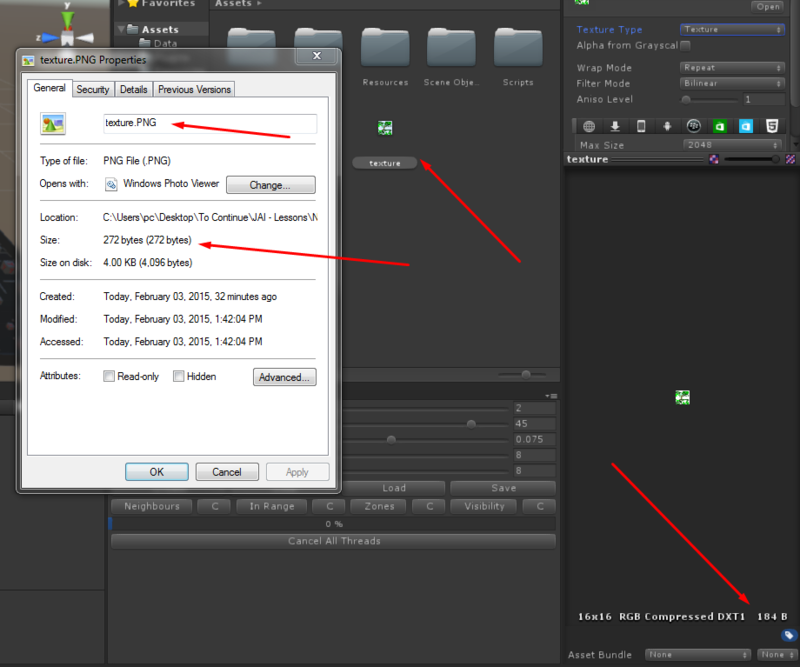 Also, another question, is there any way to write dxt1 extension directly into the assets folder? I found a semi working way but because it compiles to png before saving it converts to dxt5, also, it's only in .asset format and I would like to at least try the prototype as dxt1 extension to take a look at the final image in the photoshop to make sure things work the way they should be, so if anyway can provide a piece of code that would let me assign colors to a 16*16 pixel texture and write it with dxt1 format I would appreciate it.